Elizabeth Scott's story illustrates the horrors that a young girl forced into marriage and living in an isolated part of the country could experience. Elizabeth Scott was the first woman hanged in Victoria - at the Old Melbourne Gaol on 11 November 1863. When Elizabeth was thirteen years old she was coerced by her mother into marriage with Robert Scott, a much older man and an alcoholic. Together they ran a bush inn near Mansfield for ten years. They had five children, of whom three died in infancy. Elizabeth was supposedly friendly with two local men. David Gedge worked nearby at a staging point for a coach-run between Mansfield and Jamieson. The other man was Julian Cross, an Asian hired by Scott to work as a general hand in the business. While Scott was in one of his drunken stupors, either Gedge or Cross shot him and tried to make it look like a suicide. Elizabeth was not even in the room when the murder occurred; but she, together with the two local men, was arrested. Victoria's ultra-conservative chief justice, Sir William Stawell, known as the 'hanging judge', presided over the case and condemned all three to hang. At the trial no evidence was given on Elizabeth's behalf. Neither would premier McCulloch commute the sentence. Only the Herald had misgivings: 'There is something unusually terrible in condemning a woman, even though she be unsexed by her crimes, to a sudden and shameful death' (6 November 1863). 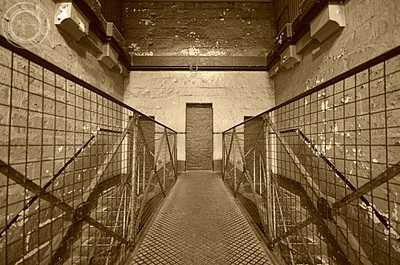 The three prisoners were executed together at the Old Melbourne Gaol. Nothing is known of what became of Elizabeth's two orphaned children. Elizabeth was probably kept in the newly built 1860s Female Ward. 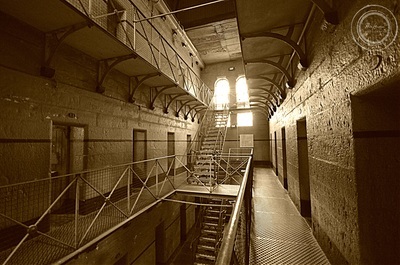 It was almost identical in layout to the men's Second Cell block, which is still standing. 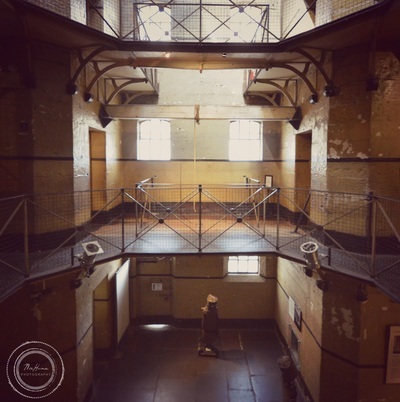 Women had been held at the Old Melbourne Gaol from 1842 but were not kept apart from the male prisoners until the Female Ward was built 20 years later. Women were occupied with washing, making and repairing their own clothes, and making shirts and waistcoats for male prisoners. They also acted as domestic servants for the governor and his family. The stories of the unfortunate women who were hanged in the era around the 1890s reflect the desperation that families experienced during that time of severe economic depression. Their stories also demonstrate that sentencing often seemed arbitrary and depended on the persuasion of those in authority.